Kenya Airways Ltd., more commonly known as Kenya Airways, is the flag carrier of Kenya. The company was founded in 1977, after the dissolution of East African Airways. The carrier's head office is located in Embakasi, Nairobi, with its hub at Jomo Kenyatta International Airport. The airline was wholly owned by the Government of Kenya until April 1995 (1995-04), and it was privatised in 1996, becoming the first African flag carrier to successfully do so. Kenya Airways is currently a public-private partnership. The largest shareholder is the Government of Kenya (29.8.%), followed by KLM, which has a 26.73% stake in the company. The rest of the shares are held by private owners; shares are traded on the Nairobi Stock Exchange, the Dar es Salaam Stock Exchange, and the Uganda Securities Exchange. Kenya Airways is considered one of the leading Sub-Saharan operators; as of January 2013 and was ranked fourth among the top ten African airlines by seat capacity, behind South African Airways, Ethiopian Airlines and EgyptAir. The airline became a full member of SkyTeam in June 2010 (2010-06), and is also a member of the African Airlines Association since 1977. Kenya Airways was established by the Kenyan government on 22 January 1977 (1977-01-22), following the break-up of the East African Community and the consequent demise of East African Airways (EAA). On 4 February 1977 (1977-02-04),:90 two Boeing 707–321s leased from British Midland Airways inaugurated operations, serving the Nairobi–Frankfurt–London route. On internal and regional flights, the carrier deployed aircraft formerly operated by the EAA consortium, such as one Douglas DC-9-52 and three Fokker F-27-200s. [nb 1] In late 1977, three Boeing 707s were acquired from Northwest Orient. The following year, the company formed a charter subsidiary named Kenya Flamingo Airlines, which leased aircraft from the parent airline in order to operate international passenger and cargo services. Aer Lingus provided the company with technical and management support in the early years. A Kenya Airways Fokker F27-200 at Moi International Airport in 1982. In July 1980 (1980-07) the airline had 2,100 employees and a fleet of three Boeing 707-320Bs, one Boeing 720B, one DC-9-30 and three Fokker F-27-200s. At this time, Addis Ababa, Athens, Bombay, Cairo, Copenhagen, Frankfurt, Jeddah, Kampala, Karachi, Khartoum, London, Lusaka, Mauritius, Mogadishu, Rome, Salisbury, Seychelles and Zurich were among the airline's international destinations, whereas domestic routes radiated from Nairobi to Kisumu, Malindi, Mombasa and Mumias. A Nairobi–Bombay nonstop route was launched in 1982 using Boeing 707-320Bs. A year later, the company commenced serving Tanzania. Flights to Burundi, Malawi and Rwanda were launched in 1984. Capacity on the European routes was boosted in November 1985 (1985-11) with the incorporation of an Airbus A310-200 leased from Condor. Kilimanjaro was first served in March 1986 (1986-03). That year, the airline ordered two Airbus A310-300s. Kenya Airways was the first African carrier to acquire the type, and they were the first wide-bodies ordered by the company. Funded with a US$20,000,000 (equivalent to $43,248,330 in 2015) loan, the delivery of these two aircraft took place in May and September 1986 (1986-09). They flew on the Kenya–Europe corridor, and permitted Kenya Airways to return the A310-200 to the lessor. In early 1988, the carrier ordered two Fokker 50s; for domestic routes, the airline received the first of these aircraft at the end of the year. Also in 1988, the lease of a third A310-300 was arranged with the International Lease Finance for a ten-year period; the aircraft joined the fleet in November 1989 (1989-11). Leased from Ansett Worldwide, the first Boeing 757-200 was received in January 1990 (1990-01), whereas a third Fokker 50 was acquired in October the same year. By late 1991, two Boeing 737-200s had been leased from Guiness Peat Aviation. A Kenya Airways Airbus A310-300 at Fiumicino Airport in 1999. With registration 5Y-BFT, this particular aircraft entered the fleet in November 1989 (1989-11). In 1986, Sessional Paper Number 1 was published by the Government of Kenya, outlining the country's need for economic development and growth. The document stressed the government opinion that the airline would be better off privately owned, thus resulting in the first privatisation attempt. The government named Philip Ndegwa as Chairman of the Board in 1991, with specific orders to make the airline a privately owned company. In 1992, the Public Enterprise Reform paper was published, giving Kenya Airways priority among national companies in Kenya to be privatised. Ndegwa was succeeded by Isaac Omolo Okero. In September 1992 (1992-09), Brian Davies, was appointed as the new managing director of the company. Davies had been previously hired to carry out a study of viability on privatisation, working for British Airways' Speedwing consulting arm. Swissair was the first company to provide Kenya Airways with privatisation advice. In the fiscal year 1993 to 1994, the airline produced its first profit since the start of commercialisation. In 1994, the International Finance Corporation was appointed to provide assistance in the privatisation process, which effectively began in 1995. A large aviation industry partner was sought to acquire 40% of the shares, with another 40% reserved for private investors and the government keeping the remaining stake. The government would absorb almost US$90 million in debts and would convert another US$31 million it provided in loans into equity; after reorganisation, the company would have a debt of approximate US$78 million. British Airways, KLM, Lufthansa and South African Airways were among the airlines expressing interest in taking a stake in Kenya Airways. KLM was awarded the privatisation of the company, which restructured its debts and made a master corporation agreement with KLM, which bought 26% of the shares, becoming the largest single shareholder since then. Shares were floated to the public in March 1996 (1996-03), and the airline started trading on the Nairobi Stock Exchange. The Government of Kenya kept a 23% stake in the company, and offered the remaining 51% to the public; however, non-Kenyan shareholders could hold a maximum 49% share of the airline. Despite 40% of the shares being kept by foreign investors following privatisation (including KLM's 26% stake), top management positions were held by Kenyans. Following the takeover, the government of Kenya capitalised US$70 million, while the airline was awarded a US$15 million loan from the International Finance Corporation to modernise its fleet. In a deal worth US$82 million, two Boeing 737-300s were ordered in July 1996 (1996-07). In January 2000 (2000-01), the airline experienced its first fatal accident when an Airbus A310 that had been bought new in 1986 crashed off Ivory Coast, shortly after taking off from Abidjan. By April the same year, the fleet consisted of four Airbus A310-300s,[nb 2] two Boeing 737-200 Advanced and four Boeing 737-300s. At this time the company had a staff of 2,780, including 400 engineers, 146 flight crew and 365 cabin crew. From its main hub at Jomo Kenyatta International Airport, scheduled services were operated to Abidjan, Addis Ababa, Amsterdam, Bujumbura, Cairo, Copenhagen, Dar es Salaam, Douala, Dubai, Eldoret, Entebbe/Kampala, Harare, Johannesburg, Karachi, Khartoum, Kigali, Kinshasa, Lagos, Lilongwe, Lokichoggio, London, Lusaka, Mahe Island, Malindi, Mombasa, Mumbai, and Zanzibar. :90 In 2002, an order for three Boeing 777-200ERs was placed with Boeing; an additional aircraft of the type was acquired in November 2005 (2005-11). In March 2006 (2006-03), six Boeing 787-8s were ordered; the first two examples would be delivered in 2010 and the rest in 2011. The original Boeing 787 order was amended nine months later to include three more aircraft of the type. In June 2012 (2012-06) the company announced the issuance of rights worth KSh20 billion, aimed at increasing capital to support expansion plans. Following the allocation of shares, KLM increased their stake in the company from 26% to 26.73%, while the Kenyan government boosted their participation into the company from 23% to 29.8%, becoming the largest shareholder. As of February 2016, Kenya Airways' Managing Director and chief executive officer (CEO) positions were held by Mbuvi Ngunze. Ngunze, who had been appointed CEO in June 2014 (2014-06), was the company's former chief operating officer. Dennis Awori was the airline's chairman, as of July 2016. The cargo handling company African Cargo Handling Limited is a wholly owned subsidiary of Kenya Airways; partly owned companies are Kenya Airfreight Handling Limited, dedicated to the cargo handling of perishable goods (51%-owned) and Tanzanian carrier Precision Air (41.23%-owned). A new low-cost subsidiary named Jambojet was created in 2013. KLM sponsored Kenya Airways' SkyTeam candidacy process in mid-2005. In September 2007 (2007-09), Kenya Airways became one of the first official SkyTeam Associate Airlines and achieved full membership in June 2010 (2010-06). The alliance provides Kenya Airways' passengers with access to the member airlines' worldwide network and passenger facilities. In April 2012 (2012-04), the airline launched a plan named Project Mawingu (the Swahili word meaning Clouds) to add 24 destinations by 2021, including the start of services to Australia, and North and South America, and expanding its presence in Asia as well; this includes initiating routes to Chengdu, Chennai, and Perth in Fiscal Year 2016-17 and to Chongqing, Hyderabad, and Washington, D.C. in Fiscal Year 2017-18. In October 2013 (2013-10), the airline stated that it will add six new destinations every year, following the delivery of Boeing 777s and 787s the carrier has on order. A Kenya Airways Boeing 777-300ER on short final to Amsterdam Airport Schiphol in 2014. The first of five Embraer 190s ordered in 2010 was incorporated into the fleet in December that year. An additional order for ten aircraft of the same type was placed in August 2011; the carrier took delivery of the first and second of these fully owned aircraft thirteen months later. The company announced in February 2011 its intention of acquiring a freighter aircraft to boost cargo capacity on African operations. Until February 2012, when a joint freighter service with KLM was launched, the carrier's cargo division had been using belly capacity on its operations; there are plans to buy and lease more freighter aircraft in order to boost capacity in the growing cargo market between Africa and Asia. Furthermore, the airline announced in October 2012 the conversion of some Boeing 737-300s into freighter aircraft to complement the Boeing 747-400F service jointly operated with KLM and Martinair Cargo. The first of four converted Boeing 737-300s was delivered to the company in April 2013 (2013-04); Kenya Airways planned to fly this aircraft on African routes served by the Embraer 190s, in order to boost cargo capacity. The company took delivery of its first Boeing 777-300ER in October 2013. Kenya Airways had nine Boeing 787 Dreamliners on order as of April 2011, although the company considered cancelling the order after systematic delays with the delivery dates. The handover of the first Boeing 787 took place on 4 April 2014. Two days later, Nairobi–Paris became the first route to be served by the Boeing 787. In April 2015 the carrier was set to sell some aircraft, including four Boeing 777s, following a decrease in passenger traffic. The airline's old and new livery can be seen here on this Boeing 737-700. The left picture was taken in 2006, while the right image shows the same aircraft in 2007. In 2005, Kenya Airways changed its livery. The four stripes running all through the length of the fuselage were replaced by the company slogan Pride of Africa, whereas the KA tail logo was replaced by a styled K encircled with a Q to evoke the airline's IATA airline code. Former Kenya Airways' frequent flyer programme Msafiri was merged with KLM's Flying Dutchman in 1997, which was in turn merged with that of Air France and rebranded as Flying Blue in 2005, following the fusion of both companies. Gold Elite and Platinum Elite members of the Flying Blue programme are offered the JV Lounge. This service is provided to Kenya Airways passengers, and to passengers flying with its partner airlines as well. Simba Lounge is a service provided to Kenya Airways Business passengers only. Both lounges are located at Jomo Kenyatta International Airport. Different in-flight entertainment is available depending upon the aircraft and the class travelled. The airline's in-flight magazine is called Msafiri, and is distributed among the passengers in all aircraft, irrespective of the class. Premier World entertainment is AVOD; NVOD is offered in Economy class. Premier World entertainment is AVOD, while NVOD is offered in Economy class. Twelve audio channels are available in both classes. Overhead screens in both classes, plus eight channels of audio offered. Background music playing throughout the flight. 5Y-BBK, a Kenya Airways Boeing 707-320B, resulted damaged beyond economical repair on 11 July 1989, in an accident at Bole International Airport. The aircraft is seen here on the apron at Zürich Airport in 1986. As of October 2014, Kenya Airways has had two fatal accidents and two hull loss accidents. 10 July 1988: A Fokker F27-200, registration 5Y-BBS, approached the runway too fast and made a belly landing at Kisumu Airport inbound from Nairobi as Flight 650, skidding down the runway for some 600 m (2,000 ft). 11 July 1989: A Boeing 707-320B, registration 5Y-BBK, overran the runway at Bole International Airport following a brake failure. The aircraft had departed from the same airport, and the non-retraction of the landing gear prompted the crew to return. 30 January 2000: Flight 431 was a scheduled Abidjan–Lagos–Nairobi service, operated with an Airbus A310-304, registration 5Y-BEN, that plunged into the Atlantic Ocean and broke up, about a minute after it took off from Abidjan's Félix Houphouët-Boigny International Airport. There were 179 people aboard, of whom ten were crewmembers; most of the occupants were Nigerians. 169 people perished in the accident. This was the carrier's first fatal accident. 5 May 2007: Flight 507, operated with a Boeing 737-800, tail number 5Y-KYA, crashed into a mangrove swamp immediately after takeoff for Nairobi, about 5.5 kilometres (3.42 mi) southeast of Douala International Airport. The flight originated in Abidjan, with a stopover in Douala to pick up passengers. There were 114 people on board, 105 passengers from 23 countries—the majority of them Cameroonians— plus 9 crew members; all of them perished in the accident. ↑ Flight International also reported that Kenya Airways flew Douglas DC-9-32s previously operated by EAA. ↑ It is likely that Flight International records had not been updated at the time of publish. Another source informed that the number of A310s in fleet immediately after the crash was three. 1 2 "Profile on Kenya Airways". Centre for Aviation. Archived from the original on 26 September 2012. Retrieved 26 September 2012. ↑ "SkyTeam Facts and Figures" (PDF). SkyTeam. March 2015. Archived from the original (PDF) on 30 July 2015. 1 2 3 4 "Summary Audited Group Results for the Year Ended 31 March 2016" (PDF). Kenya Airways Limited. Archived from the original (PDF) on 24 July 2016. ↑ O'Keeffe, Niall (7 August 2013). "Fire closes Nairobi's Jomo Kenyatta airport". Flightglobal. Archived from the original on 8 August 2013. Flag carrier Kenya Airways has confirmed that all flights from the airport have been cancelled until further notice. 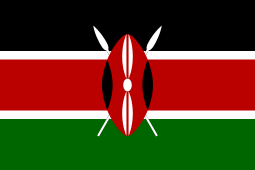 ↑ "Kenya Contact Details". Kenya Airways. Archived from the original on 1 August 2012. Retrieved 1 August 2012. 1 2 Buyck, Cathy (1 November 2010). "Kenya Airways' Uplifting Mission". Air Transport World. Archived from the original on 2 August 2012. Retrieved 2 August 2012. ↑ Lacey, Marc (24 June 2003). "New Products for Sale in Africa: Company Shares". The New York Times. Archived from the original on 19 April 2012. Retrieved 19 April 2012. ↑ "Ethiopian Airlines distinguished with African Cargo Airline Award". Sudan Tribune. 1 March 2011. Archived from the original on 23 March 2011. ↑ "Kenya Airways and Ethiopian Airways compete for Nairobi and Addis hub power as Gulf carriers expand". Centre for Aviation. 21 January 2013. Archived from the original on 21 January 2013. Retrieved 22 January 2013. 1 2 3 4 "History". Kenya Airways. Retrieved 6 December 2011. ↑ "AFRAA Current Members". AFRAA. Retrieved 6 December 2011. ↑ Endres, Günter (20 December 2005). "Titus Naikuni: Walking tall". Flightglobal.com. Airline Business. Archived from the original on 18 May 2012. "World airline directory – Kenya Airways (page 323)". Flight International. 118 (3716). 26 July 1980. ISSN 0015-3710. Archived from the original on 25 October 2013. "World Airline Directory – Kenya Airways (page 89)". Flight International. 157 (4722). 4–10 April 2000. ISSN 0015-3710. Archived from the original on 25 October 2013. "World Airline Directory – Kenya Airways (page 90)". Flight International. Archived from the original on 25 October 2013. "World news – Kenya's new airline (page 330)". Flight International. 111 (3544). 12 February 1977. Archived from the original on 25 October 2013. "World news – Kenya's new airline (page 331)". Flight International. Archived from the original on 25 October 2013. 1 2 Guttery (1998), p. 97. ↑ "World airline directory – Kenya Flamingo Airways" (pdf). Flight International: 855. 31 March 1984. Retrieved 7 December 2011. ↑ "World airline directory – Kenya Airways" (pdf). Flight International: 1382–1383. 28 April 1979. Retrieved 2 April 2011. Aer Lingus is providing technical and management assistance under contract. ↑ Guttery (1998), p. 97,98. 1 2 3 4 Guttery (1998), p. 98. ↑ "Kenya buys widebodies". Flight International: 5. 19 October 1985. Archived from the original on 1 August 2012. Retrieved 1 August 2012. ↑ "Finance". Flight International: 7. 27 September 1986. Archived from the original on 1 August 2012. Retrieved 1 August 2012. A $20 million loan has been guaranteed by the Export Credits Guarantee Department (ECGD) to help finance Kenya Airways' purchase of two Airbus A310-300s. Finance has been arranged by the Midland Bank. 1 2 "Air transport". Flight International: 7. 8 November 1986. Archived from the original on 1 August 2012. Retrieved 1 August 2012. Kenya Airways has just taken delivery of a second Airbus A310-300. ↑ "Market Place". Flight International: 14. 6 February 1988. Archived from the original on 2 August 2012. Retrieved 2 August 2012. Kenya Airways has ordered two Fokker 50s for delivery in late 1988. Already an F.27 operator, Kenya Airways is taking the aircraft as part of a fleet modernisation and expansion programme. ↑ "Orderbook". Flight International: 13. 10 December 1988. Archived from the original on 2 August 2012. Retrieved 2 August 2012. Kenya Airways has taken delivery of its first Fokker 50 turboprop. ↑ "Orderbook". Flight International. 134 (4128): 49. 27 August 1988. ISSN 0015-3710. Archived from the original on 26 October 2013. 1 2 3 4 5 6 7 Guttery (1998), p. 99. 1 2 Winn, Allan (6 November 1996). "Kenya's Dutch treat". Flightglobal. Nairobi. Archived from the original on 25 June 2014. 1 2 O'Toole, Kevin (7 June 1995). "Foreign alliance on offer from Kenya". London: Flightglobal.com. Flight International. Archived from the original on 28 August 2012. Retrieved 28 August 2012. 1 2 3 4 5 "Kenya Airways Privatization". International Finance Corporation. Archived from the original (PDF) on 18 May 2012. Retrieved 18 May 2012. ↑ "Profits help Kenya Airways towards privatisation". Flightglobal.com. Flight International. 20 September 1995. Archived from the original on 28 August 2012. Retrieved 28 August 2012. 1 2 "Strong foreign interest boosts Kenya float". Flightglobal.com. Flight International. 8 May 1996. Archived from the original on 28 August 2012. Retrieved 28 August 2012. 1 2 "No haste, just speed". Flightglobal.com. Airline Business. 1 March 1996. Archived from the original on 28 August 2012. Retrieved 28 August 2012. ↑ "World Airline Directory – Kenya Airways". Flight International. 4619 (153): 70. 1–7 April 1998. ISSN 0015-3710. Archived from the original on 28 August 2012. ↑ Gilpin, Kenneth N. (16 July 1996). "G.E. Gives Airbus a $2.5 Billion Jet Order". The New York Times. Archived from the original on 25 June 2014. 1 2 "Kenyan plane crashes into sea". BBC News. 31 January 2000. Archived from the original on 3 March 2012. 1 2 "Airline's sound safety record". BBC News. 31 January 2000. Archived from the original on 3 March 2011. ↑ Sobie, Brendan (16 November 2005). "Kenya Airways acquires additional 777-200ER and 767-300ER". Flightglobal. London. Flight International. Archived from the original on 13 June 2014. ↑ "Kenya airways to take Boeing 787s". Flightglobal. Flight International. 7 March 2006. Archived from the original on 14 June 2014. 1 2 Kaminski-Morrow, David (1 September 2010). "Kenya Airways threatens to ditch 787 for Airbus". Flightglobal.com. Flight International. Archived from the original on 18 May 2012. Retrieved 17 May 2011. ↑ Okulo, Lola (10 June 2012). "KQ rights issue misses set target". The Star. Archived from the original on 10 June 2012. Retrieved 10 June 2012. ↑ "Kenya Airways Rights Issue–Amended Timetable" (Press release). Kenya Airways. 30 May 2012. Archived from the original (PDF) on 10 June 2012. Retrieved 10 June 2012. ↑ Buyck, Cathy (10 November 2011). "Kenya Airways' fiscal first-half profit surges 41.6%". Air Transport World. Archived from the original on 19 April 2012. ↑ "Public Announcement–Kenya Airways Rights Issue Offer Results" (Press release). Kenya Airways. 8 June 2012. Archived from the original (PDF) on 10 June 2012. Retrieved 10 June 2012. ↑ "Government now largest shareholder of Kenya Airways". Sunday Nation. 7 June 2012. Archived from the original on 9 June 2012. ↑ Hofmann, Kurt (19 February 2016). "Kenya Airways continues turnaround strategy". Air Transport World. Archived 20 February 2016 at the Wayback Machine. ↑ Blachly, Linda (25 June 2014). "Kenya Airways names new CEO". Air Transport World. Archived from the original on 26 June 2014. ↑ Dron, Alan (22 July 2016). "Kenya Airways reports $252 million loss for FY2015-16". Archived from the original on 24 July 2016. ↑ "Kenya Airways Annual Report & Financial Statements For The Year Ended 31 March 2011". African Financials. Archived from the original on 18 May 2012. Retrieved 18 May 2012. 1 2 "Annual Reports & Financial Statements 2013". Kenya Airways. 13 June 2013. Archived from the original (PDF) on 27 October 2013. ↑ Blachly, Linda (12 September 2013). "Kenya Airways appoints CEO of new Jambo Jet subsidiary". Air Transport World. Archived from the original on 16 September 2013. 1 2 "Annual Financial Reports & Accounts 2004/5". 26 May 2005. Retrieved 3 August 2012. 1 2 "2007-2008 Annual Report". Kenya Airways. Archived from the original (PDF) on 1 August 2012. 1 2 3 "Annual Report & Accounts 2009-2010". Kenya Airways. Archived from the original (PDF) on 1 August 2012. Retrieved 1 August 2012. 1 2 "Business and Financial Review–Full Year Ended 31 March 2012". Kenya Airways. Archived from the original (PDF) on 15 June 2012. Retrieved 1 August 2012. ↑ "Summary audited group results for the year ended 31 March 2013". Kenya Airways Limited. 13 June 2013. Archived from the original (PDF) on 17 June 2013. ↑ "Kenya Airways Annual Report and Financial Statements 2014" (PDF). Kenya Airways. Archived 1 October 2014 at the Wayback Machine. ↑ "Summary Audited Group Results for the Year Ended 31 March 2015" (PDF). 29 July 2015. Retrieved 5 August 2015. ↑ "Annual Report 2015" (PDF). 29 July 2015. Retrieved 19 October 2015. ↑ "Annual Report 2016" (PDF). 20 July 2016. Retrieved 19 September 2016. ↑ Farrar, Loren (10 June 2005). "SkyTeam to add four carriers to new Associate Program". Air Transport World. Archived from the original on 10 August 2012. Retrieved 10 August 2012. ↑ "SkyTeam welcomes Air Europa, Copa , Kenya as associates". Air Transport World. 5 September 2007. Archived from the original on 31 March 2012. ↑ "Air France: 3 compagnies rejoignent le réseau SkyTeam" [Air France: three companies joins the SkyTeam network]. L'Express (in French). 4 September 2007. Archived from the original on 31 March 2012. Retrieved 31 March 2012. ↑ "SkyTeam celebrates tenth anniversary" (Press release). KLM. 23 June 2010. Archived from the original on 31 March 2012. Retrieved 31 March 2012. ↑ Aaron Karp (23 June 2010). "SkyTeam eyes further expansion on 10th anniversary". Air Transport World. Archived from the original on 31 March 2012. Retrieved 31 March 2012. ↑ "About Us". SkyTeam. Archived from the original on 19 April 2012. Retrieved 19 April 2012. Our 15 member airlines provide you comprehensive access to an extensive global network with more destinations, more frequencies and more connectivity than ever before. ↑ "SkyTeam Lounges". SkyTeam. Archived from the original on 19 April 2012. Retrieved 19 April 2012. ↑ "Profile on Kenya Airways". CAPA. Centre for Aviation. Archived from the original on 2016-10-29. Retrieved 2016-10-29. ↑ "Kenya: National Airways Inks Code Share Deal With China Eastern Airlines". AllAfrica.com. 13 December 2012. Archived from the original on 25 February 2013. ↑ "Kenya Airways-Etihad alliance will create a poweful force in Eastern Africa, challenging Ethiopian". Centre for Aviation. 25 February 2013. Archived from the original on 25 February 2013. ↑ "Kenya Airways and Etihad Airways in codeshare deal to enhance their global network coverage" (Press release). Kenya Airways. 21 February 2013. Archived from the original on 25 February 2013. ↑ "Kenya Airways boosts South East Asian footprint with new code share deal" (Press release). Kenya Airways. Archived from the original (PDF) on 12 November 2012. Retrieved 12 November 2012. ↑ "Rapidly expanding Kenya Airways charts growth with plan to serve every inhabited continent by 2017". Centre for Aviation. 16 April 2012. Archived from the original on 19 April 2012. Retrieved 21 April 2012. ↑ Clark, Oliver (7 October 2013). "ROUTES: Kenya Airways plans global network over 10 years". Flightglobal. Las Vegas. Archived from the original on 25 June 2014. ↑ "Fleet". Kenya Airways. Retrieved 16 November 2016. 1 2 "Boeing Delivers Kenya Airways' First 777-300ER" (Press release). Boeing. 25 October 2013. Archived from the original on 25 June 2014. ↑ "Oman Air wet leases 787-8s from Kenya Airways". ATW Online. March 9, 2016. ↑ "Oman Air to lease 2 Boeing 787-8s and Heathrow slots". ATW Online. March 1, 2016. ↑ "Kenya Airways acquires a new Embraer to growing fleet KQ proud owner of the 900th E-Jet Manufactured by Embraer" (Press release). Kenya Airways. 11 October 2012. Archived from the original on 13 October 2012. Retrieved 13 October 2012. ↑ "Kenya Airways Fleet". ch-aviation GmbH. Archived 19 January 2015 at the Wayback Machine. ↑ "SubFleets for: Kenya Airways". AeroTransport Data Bank. 17 June 2013. Archived from the original on 17 June 2013. "World Airline Directory – Kenya Airways (page 99)". Flight International: 99–100. 14–20 March 1990. Archived from the original (PDF) on 18 May 2012. Retrieved 18 May 2012. "World Airline Directory – Kenya Airways (page 100)". Flight International. 14–20 March 1990. Archived from the original (PDF) on 18 May 2012. Retrieved 18 May 2012. ↑ "Kenya Airways introduces its first Boeing 737–300". Flightglobal.com. Flight International. 14 May 1997. Archived from the original on 18 May 2012. Retrieved 18 May 2012. The aircraft - central to the hub's regional development - are replacing two 737-200s leased from GPA. ↑ Geoff Thomas (23 July 2002). "Kenya Airways chooses Trent 800 for Boeing 777 order". Flightglobal.com. Flight Daily News. Archived from the original on 18 May 2012. Retrieved 18 May 2012. The airline is currently celebrating its silver jubilee – and its links with Rolls-Royce began with Dart engines for Fokker F27s...moving more recently to RB211-535s on its Boeing B-757s. ↑ "Kenya Airways to focus on Asia, with new Beijing and Shanghai routes, as 787s and more 777s arrive". Centre for Aviation. 18 March 2014. Archived from the original on 19 March 2014. 1 2 Buyck, Cathy (1 September 2011). "Kenya Airways finalizes order for 10 E-190s". Air Transport World. Archived from the original on 2 June 2012. Retrieved 2 June 2012. ↑ Buyck, Cathy (15 September 2011). "Kenya Airways receives third new E-190". Air Transport World. Archived from the original on 2 June 2012. Retrieved 2 June 2012. Kenya Airways (KQ) took delivery of its third new Embraer 190, as part of an order for five of the type placed last year. KQ received the first E-190 in December 2010 and the second one joined the fleet in June; the fourth aircraft is expected to touch down at Jomo Kenyatta International in a few weeks. ↑ "Kenya Airways received second fully owned Embraer" (Press release). Kenya Airways. 17 September 2012. Archived from the original on 24 September 2012. Retrieved 24 September 2012. ↑ "Kenya Airways takes delivery of first fully-owned Embraer E190 jet" (Press release). Kenya Airways. 1 September 2012. Archived from the original on 10 September 2012. Retrieved 10 September 2012. ↑ "Kenya Airways to acquire freighter". Daily Nation. 27 February 2011. Archived from the original on 18 May 2012. Retrieved 18 May 2012. ↑ "Kenya Airways Launch Freighter Service" (Press release). Kenya Airways. 21 February 2012. Archived from the original on 27 August 2012. Retrieved 27 August 2012. ↑ "Kenya Airways to Convert Its Boeing 737-300 Passenger Jets into Freighters" (Press release). Kenya Airways. 26 October 2012. Archived from the original on 3 November 2012. Retrieved 3 November 2012. ↑ Young, Kathryn M. (11 April 2013). "Kenya Airways receives first 737-300 converted freighter". Air Transport World. Archived from the original on 15 April 2013. ↑ Blachly, Linda (25 October 2013). "Kenya Airways receives first leased Boeing 777-300ER". Air Transport World. Archived from the original on 29 October 2013. ↑ Buyck, Cathy (15 April 2011). "Kenya settles with Boeing on 787 delivery delay". Air Transport World. Archived from the original on 18 May 2012. Retrieved 18 May 2012. ↑ "Boeing Delivers First 787 Dreamliner to Kenya Airways" (Press release). Boeing. 4 April 2014. Archived from the original on 4 April 2014. ↑ Yeo, Ghim-Lay (4 April 2014). "Kenya Airways receives first 787". Flightglobal. Washington DC. Archived from the original on 4 April 2014. ↑ "Airline News". 11 June 2014. Archived from the original on 11 June 2014. Kenya Airways launched its first Boeing 787 on the Nairobi-Paris route on June 4. ↑ "Nigeria: Kenya Airways to Sell Older Aircraft, Land to Raise Funds". allAfrica.com. Daily Independent. 1 May 2015. Archived 2 May 2015 at the Wayback Machine. ↑ Miriri, Duncan (17 April 2015). "Kenya Airways to sell assets, seeks loan to navigate cash crunch". Reuters Africa. Archived 2 May 2015 at the Wayback Machine. 1 2 3 4 "Lounges". Kenya Airways. Archived from the original on 18 May 2012. Retrieved 18 May 2012. ↑ "Msafiri Magazine". Kenya Airways. Archived from the original on 18 May 2012. Retrieved 18 May 2012. ↑ "Boeing B777-300ER". Kenya Airways. Retrieved 2 June 2014. ↑ "Boeing 787-8". Kenya Airways. Retrieved 2 June 2014. ↑ "Boeing B777-200ER". Kenya Airways. Retrieved 2 June 2014. ↑ "Boeing 737-700". Kenya Airways. Retrieved 2 June 2014. ↑ "Boeing 737-300". Kenya Airways. Retrieved 2 June 2012. ↑ "Embraer 190 AR". Kenya Airways. Retrieved 2 June 2012. ↑ "Accident record for Kenya Airways". Aviation Safety Network. Retrieved 26 October 2014. ↑ Accident description for 5Y-BBS at the Aviation Safety Network. Retrieved on 20 September 2011. ↑ Incident description for 5Y-BBK at the Aviation Safety Network. Retrieved on 15 July 2011. ↑ "Commercial Flight Safety – Non-fatal accidents/incidents: scheduled passenger flights". Flight International: 46. 17–23 January 1990. Archived from the original on 14 June 2014. ↑ Accident description for Flight 431 at the Aviation Safety Network. Retrieved on 9 June 2011. 1 2 Accident description for Flight 507 at the Aviation Safety Network. Retrieved on 15 June 2011. ↑ Kaminski-Morrow, David (15 May 2007). "Investigators trawl swamps for clues on Kenya 737 crash". Flightglobal.com. Flight International. Archived from the original on 10 August 2012. Retrieved 10 August 2012. ↑ "'No survivors' in Cameroon crash". BBC News. 7 May 2007. Archived from the original on 10 August 2012. Retrieved 10 August 2012. Guttery, Ben R. (1998). Encyclopedia of African Airlines. Jefferson, North Carolina 28640: Mc Farland & Company, Inc. ISBN 0-7864-0495-7. Wikimedia Commons has media related to Kenya Airways. "Annual report and Financial Statements for the Year Ended 31 March 2014" (PDF). Kenya Airways. Archived from the original (PDF) on 30 July 2015. "2010-2011 Annual Report". Kenya Airways. Archived from the original (PDF) on 31 July 2012. "2008-2009 Annual Report". Kenya Airways. Archived from the original (PDF) on 1 August 2012.